ADDIS ABABA. — The African Union (AU) yesterday marked Africa Day that commemorates the birth of the then Organisation for African Unity (OAU), reiterating the call for the fight against corruption. The 55th AU anniversary celebrations at the headquarters of the pan-African bloc in Ethiopia’s capital Addis Ababa, featured a panel discussion, African bazaar that displayed cultural costumes and items of AU member-states, as well as music concerts. 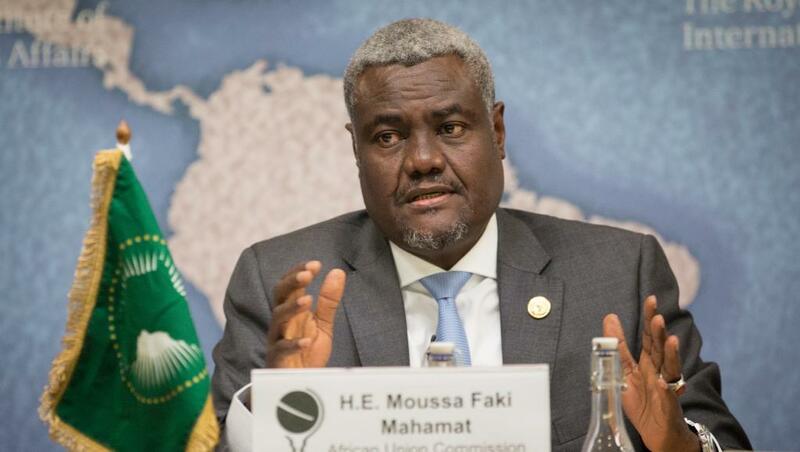 Stating the achievements of Africa in different arenas, the chairperson of the AU Commission, Moussa Faki Mahamat, underlined the need to remain vigilant and conscious that much is still to be done to overcome the obstacles that could derail the hard-won progress. “Central to the work ahead is the fight against corruption in all its forms,” said the chairperson, emphasising that corruption destroys the lives of ordinary people and undermines the trust in their leaders and public institutions on the continent. “Resources that are needed for development and the delivery of services, such as electricity, education, healthcare, sanitation and clean water, are diverted by a few, thus depriving the majority of the people from access to these critical services,” he said. The AU has dedicated 2018 as anti-corruption year, under the theme “Winning the Fight against Corruption: A Sustainable Path to Africa’s Transformation”, and African leaders have declared the July 11 every year as the African Anti-Corruption Day. “I want to challenge all of us, leaders and Africans from all walks of life, to firmly deal with this scourge (corruption),” noted the chairperson of the AU Commission. President Muhammadu Buhari has been named champion of AU’s anti-corruption theme, in recognition of the Buhari administration’s commitment to fighting corruption in Nigeria and globally. In his remarks, Bankole Adeoye, Nigerian Ambassador to Ethiopia and Permanent Representative to AU, reiterated the need to sustain robust efforts to root corruption out of Africa. The ambassador urged more efforts to ensure transparency and determination of all to address the scourge of corruption, which he said is one of the major impediments to structural transformation in Africa. Reiterating that several African countries are among the world’s fastest growing economies, despite the global downturn, the Chairperson of the AU Commission also said the continent has achieved gains in its endeavour on democracy, food and agriculture, industrialisation, health, and climate change issues. On the ground, AU is making a tangible contribution to the improvement of the livelihoods of the African people and the development of Member States, he said. Robust efforts are being made to create opportunities that the youth need to fulfil their aspirations. Gender equality and women empowerment are also a central element of our efforts. Measures to deal with diseases and pandemics are in place, with the establishment of relevant institutions. “Continental integration is being vigorously pursued. So is the objective of ensuring that Africa speaks with one voice on the international stage, especially in the current context marked by increasing threats against multilateralism,” he said. “In parallel, a far-reaching institutional reform process is underway, to ensure that our Union is fit for purpose and financially autonomous,” added the chairperson. The Organisation for African Unity (OAU) was established on 25 May, 1963 with a Charter signed by 32 member states, and it was transformed to the African Union (AU) in 2002, which now comprises 55 member countries.